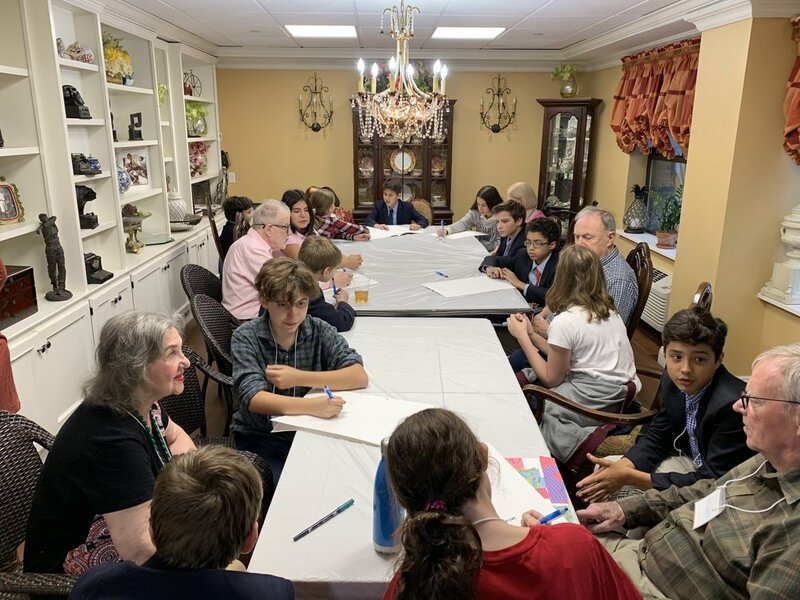 Middle School boys volunteer with Sweet Readers to become catalysts for eldercare excellence with adults living with Alzheimer's. We want to provide the boys with multiple opportunities for this work and for them to feel connected to it. They should have a deep understanding of the communities they are serving and why the actions they are taking are meaningful. In our efforts with Form III boys, who will be traveling to The Island School in the Bahamas, we have aligned their work to their biology curriculum and various other projects. Since September they have examined and improved recycling initiatives in the school community, worked on limiting single-use plastics in New York, and then will collaborate with local schools and participate in beach cleanups in Eleuthera. This allows them to realize the impact of their work at each level. The fifth grade class are volunteering with The Celebrate U Foundation, whose mission is to spread happiness by throwing birthday parties for children who reside or temporarily live in shelters. The fifth grade class has partnered up with The Celebrate U Foundation, which organizes birthday parties for children who reside or temporarily live in shelters, to build self-esteem and give them hope. 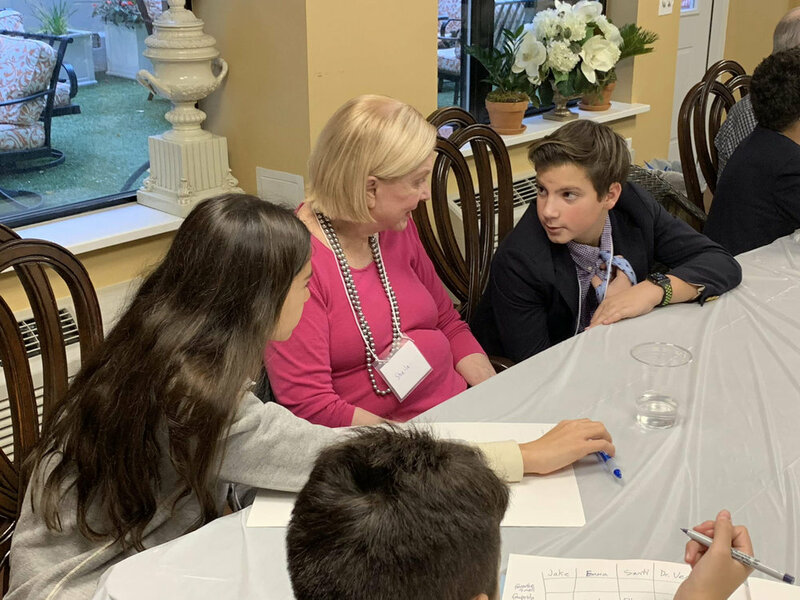 The boys’ service work is reverberated in their civics class, where they discuss what it means to be a good citizen, civic action and why acts of service are important, all of which come to life when they engage with Celebrate U. Connecting over birthdays provides students with common ground. They identify with the fact that everyone wants to feel special on their birthday and empathize with students their own age. In class the boys discuss the importance of this civic action and begin to address systemic issues by identifying root causes of homelessness. This gives them a greater understanding of the work they are doing and its impact. Similarly, our work with Back on My Feet, which combats homelessness through the power of running and community support, creates commonality around running. Their message that a mile is a mile to everyone is really unifying. It also allows students to see that the skills and lessons they learn, whether from running or in the classroom, can be used to help others in a meaningful way. Finding these commonalities breaks down barriers and stigmas by forcing the boys to question assumptions they may have previously made about others. No matter our circumstances, we all share commonalities and should have a vested interest in helping one another. 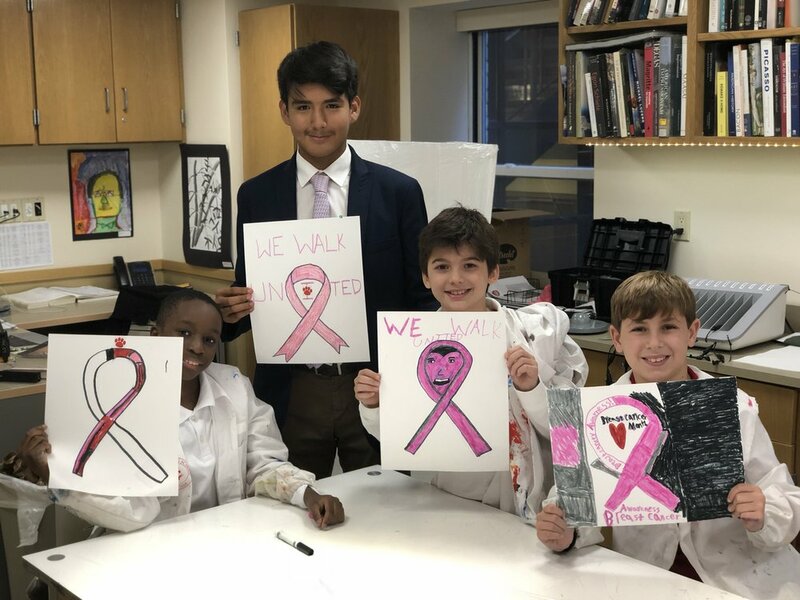 Fourth graders make signs in support of Breast Cancer Awareness Week in art class with members of the varsity soccer team. We have also sought to develop past initiatives such as the varsity pink game, and prompted students to think about why wearing pink is important (the color identifies the wearer as someone who provides moral support to individuals fighting breast cancer), as well as why we fundraise and take further action to walk together and think about all of these things as forms of service. Additionally, these community events serve to strengthen relationships between our students. Our service work starts in the building with the way we treat and value each other. 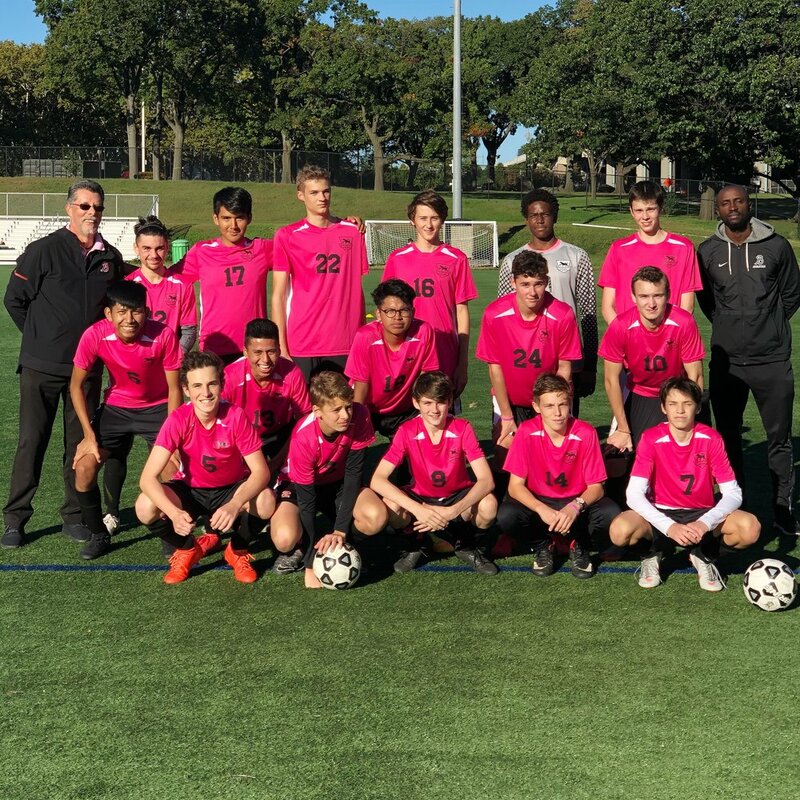 We have had opportunities to strengthen these bonds through community service work, the interdivisional buddy program created by Justin James ‘19, basketball clinics, coffee houses and our recent pep rally, all of which show we care and celebrate each other. I’m inspired by the way the boys have stepped up and are taking initiative with these service projects. They are beginning to explore who they are and who they want to be, and to see the results at all levels. It doesn’t get much better than that. They have a lot to be proud of. 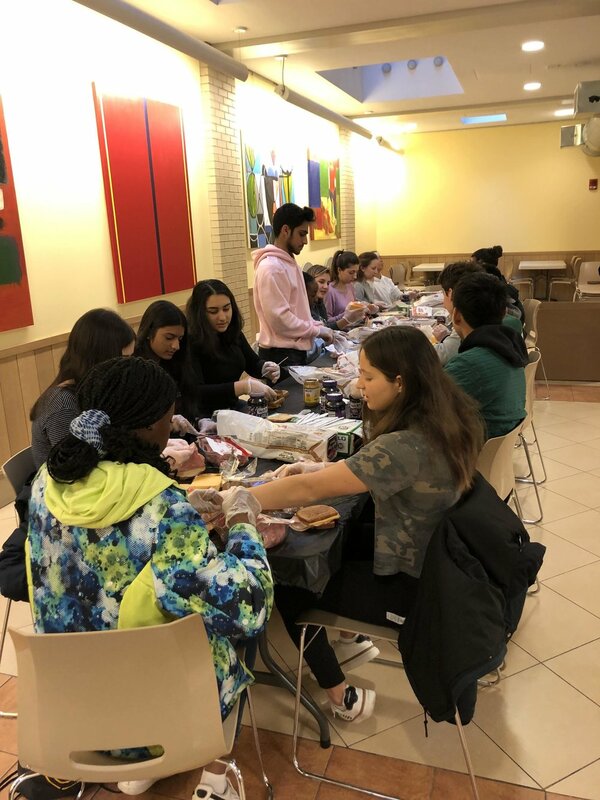 Pictures below from service learning activities throughout the year include: our boys making sandwiches for the New York Common Pantry and letters for the Scarlett Fund; participating in a Fun Run to benefit Ronald McDonald House and walking in the Making Strides Breast Cancer Awareness Walk; connecting with adults living with Alzheimer's through Sweetreaders; coming together for a intraschool pep rally.